Laura attends our Emmanuel Care Centre in Colombia. She lives with her mother, step father, grandparents and four siblings. Her mother has always tried hard to provide for her children, firstly working in the banana plantation, then working in the city, but she has always struggled to earn enough to give Laura a good education. At our care centre Laura receives fantastic care to help her thrive and her mother feels supported knowing that Laura’s needs are being cared for and she is receiving the educational support that will help her achieve. Laura started to notice a large mass on her foot which caused her pain and was beginning to deform her foot, making it difficult for her to walk and run. Her mum tried for two years to arrange medical help and surgery for her daughter without success due to not being able to cover the costs or access the health insurance needed. Eventually, Laura’s mother came to our Stand by Me staff with this problem and our care centre stepped in to help because the health of our kids is vital to their development and happiness. After some investigation, Laura underwent an operation to remove the mass. 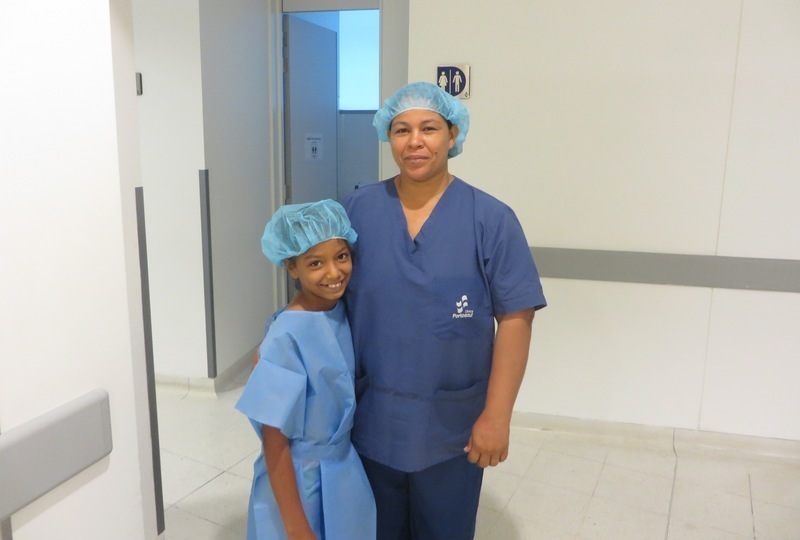 Although the prospect of having an operation can be scary for a child of Laura’s age, she was positive and confident going into the operating theatre. Her mum was there to support her and the operation went well. We are very pleased to say that the mass was removed and examined by pathology to reveal it was benign. Laura received very good care from the orthopedic surgeon and staff at the hospital. She has now fully recovered and can run around and play with her friends once again. Thanks to our amazing supporters we are able to bring enhanced health to our kids in Colombia through medical checks, hygiene and health education and specialist treatment. Our kids have the chance of a healthier and happier life and just like Laura, they can smile with confidence, knowing that we are standing right beside them through any challenge they face.